From the warmth of the sun, smiles, and details of their day, it's clear that Tara and Daniel's wedding at the Westin Riverfront Resort at Beaver Creek Mountain was an inviting, cozy celebration of love. We adore the little luxe goodies sprinkled throughout the day - the care taken with Tara's lace Robert Bullock Bride gown (We always give brides white gloves when they pick up their gown for this very purpose! After all, your wedding dress is special and should be handled as such! ), her glittery Jimmy Choos, those super rich florals, and yummy treats that make guests feel welcome. Captured beautifully by Brinton Studios and featured recently in Luxe Mountain Weddings, Tara and Daniel's wedding is just another reminder of how gorgeous Colorado weddings are - and how stylish Little White Dress brides are! 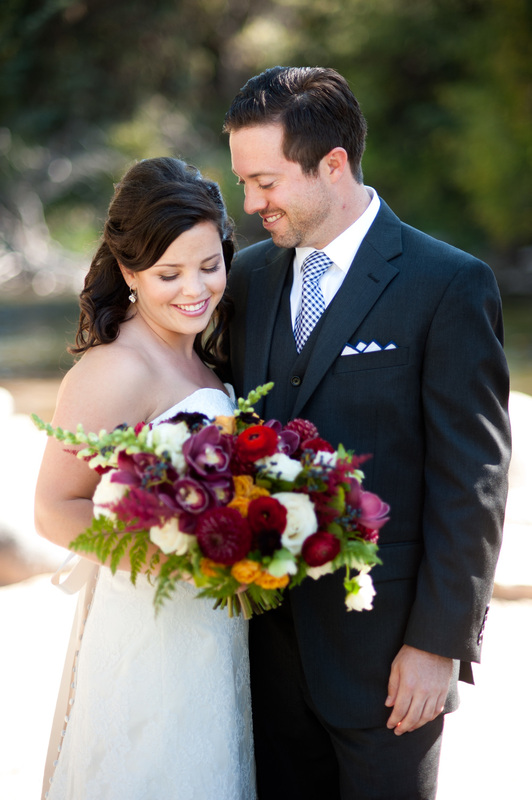 Do you love Tara's Robert Bullock Bride gown? Visit Little White Dress for a wonderful selection of Robert Bullock's beautiful, well-made, and incredibly well-priced wedding gowns! Schedule your appointment by calling 303-814-8972 or by visiting our website.